It can be difficult to save money, but even more so when you're making common savings mistakes. Here are some of the slip-ups you should avoid to make sure you're saving efficiently. If you have your emergency savings, vacation, down payment, etc. in one account, you may lose track of what you have saved for each. Separate your savings account into subcategories or even at different financial institutions. According to a survey from creditcards.com, 5 in 6 Americans concede to making impulse purchases. Making small purchases here and there can really start to add up over time, eating up the money you could be setting aside in savings. If you find yourself wanting to make a non-essential purchase, give yourself a waiting period. At the end of the waiting period, if you decide you don’t need to buy that item, put the money in your savings instead. While you want enough funds to avoid overdraw, having too much may lead you to make unnecessary purchases. Keep the minimum amount you need in checking and move everything else into an account that’s harder to access. You should already know how much you need for spending. While it’s important to get your bills paid, it’s equally as important to have a savings account. Any amount is worth setting aside. If you have trouble with saving, set up automatic deposits to your account every time you get paid. It may even be easier to have your paycheck deposited straight into your savings and then make transfers when needed. While you want to save money whenever you go shopping, sometimes the "cheap" route isn't always the best. Look at items like clothing, shoes, etc. in terms of durability, quality, and long-term savings. If you are constantly having to replace something because it falls apart, you really aren't saving anything in the long run. Just like any other expense in life, it's important to include saving in your budgeting. Once you figure out how much you are spending on other items such as mortgage, car, cable, etc. you can determine how much you are able to save. Then, each paycheck, take this money out first to ensure you're getting your savings. While it's important to save, you need to make sure you're not just setting money aside without a plan. 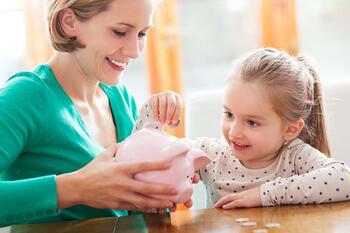 Be very specific in what each savings account is for and how much money is needed in each. For example, if you hit your goal in your vacation fund, start moving that money to another account for the time being.